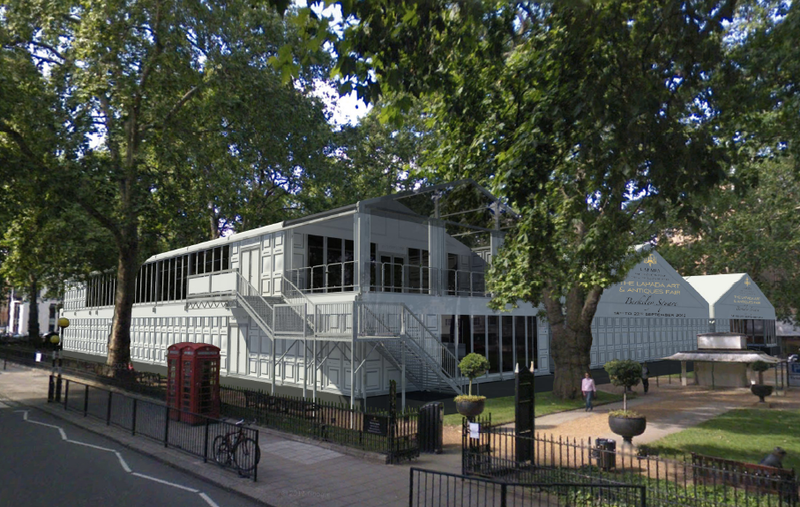 EventOracle are opening a pop-up brasserie in Berkeley Square, on the top floor of the Lapada Art & Antiques Fair. "Dining in one of London’s finest restaurants with a back-drop of fine art is not an uncommon phenomenon. Dining amidst one of the UK’s finest on-sale collections of art, antiques, jewels and sculpture in the heart of Berkeley Square in London’s Mayfair enters into new territory. For six days a fresh and seasonal British menu, created by EventOracle, one of the “rising stars” of the high-end events world, will be served for lunch and dinner set in a stunning raised level dining room and terrace overlooking the fair and surrounding gardens. Complimenting the luxury of the fair is The EventOracle Brasserie. This summer EventOracle have already created a host of private celebrity parties as well as entertaining the likes of Net-a-Porter, Mercedes, Diesel, Talisman and Formula 1. They excel in genuinely friendly service, high-quality food and bespoke event design. The British Autumn-inspired menu, created by the EventOracle team working with guest head chef David Simms, includes the likes of Wild game terrine, Stone bass with shaved fennel and Lamb rump and Samphire. Desserts put a spin on classic British puds with a plum and blackberry Eton mess (not to be missed) and a lemon and treacle tart with clotted cream, amongst other delights. Wines on offer have been selected by WineChap, an esteemed authority in his field, to carefully compliment the menu and offer something a little different. Whether a first time art buyer or serious collector, the LAPADA Art and Antiques Fair draws an eclectic and glamorous crowd year on year. This year stand-out works on offer include signed prints from Pablo Picasso, Marc Chagal, Henri Matisse and Francis Bacon, a 1950’s Cartier bracelet valued at £18,000, a Vintage Rolex watch circa 1935 and an ejection seat dated 1958 which was fitted to a RAF Gloster Javelin jet fighter. Champagne and cocktails are available courtesy of neighbouring private member’s club Morton’s who are hosting a pop-up bar accompanying The Brassiere, perfect for a celebratory glass of Champagne or some Dutch courage pre-purchase!"